As currency notes of Rs 500/- and Rs 1000/- denominations are cease to be legal tenders to curb corruption, unaccounted or black money, terrorism that relies on such money as also decimate those from across the border who are pushing counterfiet Indian currency into India. Effect on Corruption, Black money and terrorism. What are the future prospects and consequences of this decision? To understand the concept of black money and its impact on the economy. Students of Business Administration, Commerce, Economics and Law had participated in the discussion. Dice members were Dr Jayanand, Registar, Shobhit University, Mr. Deepak Goel (Finance Officer), Dr Ashok Gupta (Dean SBS) and Dr S S Chauhan. 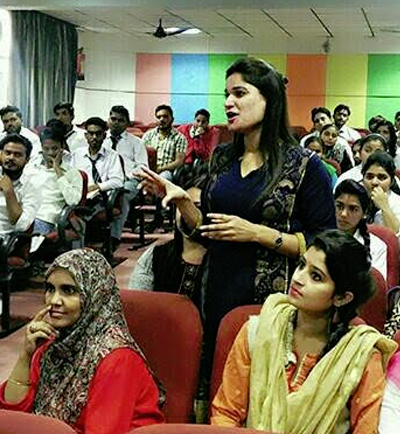 Along with the dice members, all the faculty members and students had presented their views on the discussion. Students, being the youth presented their strong view point about the topic. The discussion was initiated with a introductory address of Dr Ashok Kumar Gupta, he explained the concept of black money, it ill effects on the economy, ways to eradicate parallel economy. Mr Deepak Goel, explained the complete process how the old currency notes can be exchanged. He has discussed about various possible benefits of this decision. Dr S S Chauhan, talked about the difficulties would be faced by a common man after this decision. It was a very luscious two - way based discussion. Everyone anonymously concluded that it is a very strong decision of Honorable Prime Minister in the interest of nation and India will merge as a very strong corruption free economy in the years to come.